“Red Cosmonaut” contemporary collage art. paper clippings and acrylic resin on canvas. 24 in x 18 in. 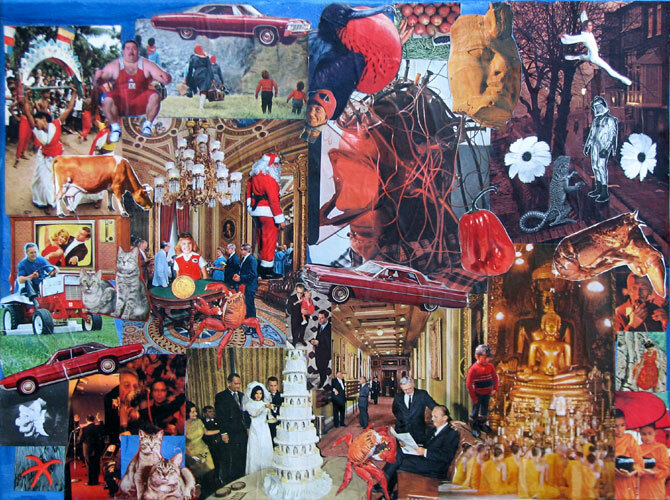 “Red Cosmonaut” contemporary collage art.